vocational centers in the slum areas and other such programs and schemes. situated in UAE, UK and USA. the organizations run and develop. reputed names such as ENGRO, UNILEVER and ARIF HABIB GROUP were also taking part. HOPE Ensures an Enlightening Future for Abandoned Ones. 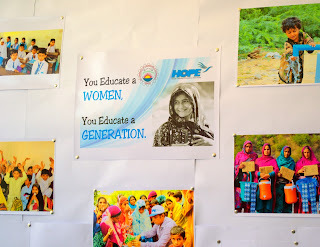 HOPE – an NGO in Pakistan envisions a well educated and healthy society in which women and children have equal rights. 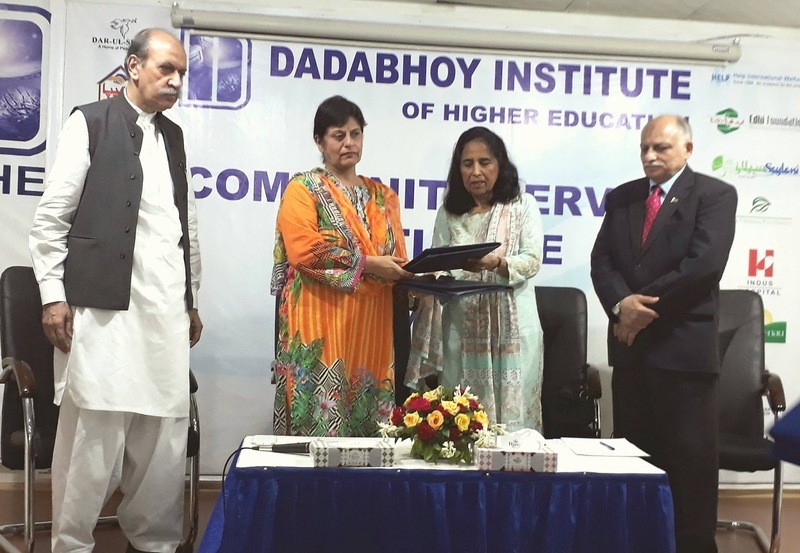 Hence, HOPE, with help of its supporters and under the leadership of Dr. Mubina Agboatwalla – a child specialist in Karachi, is always striving to make life better for the less fortunate ones by giving them access to quality education, quality healthcare and other necessities of life. 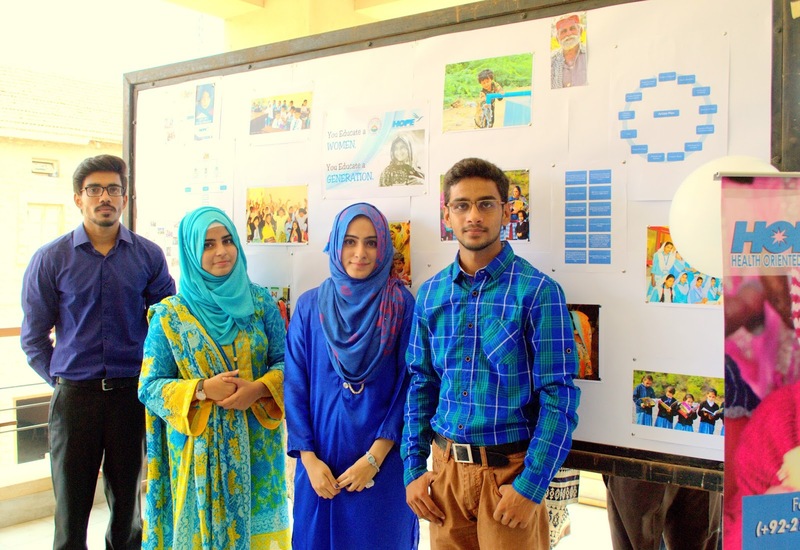 HOPE – a charity in Pakistan has a wide network of schools, vocational centers and hospitals across Pakistan. Besides providing free education and healthcare to the underprivileged, HOPE also cares about the ones who are left alone in this world. 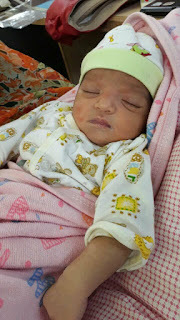 Many times, babies who are born in HOPE Hospitals are abandoned due to the death of mother or other personal reasons. Recently, a beautiful baby girl was delivered in HOPE Hospital, Zia Colony unfortunate found abandoned. Hence, Dr. Mubina Agboatwalla – chairperson of HOPE, decided to keep the baby for adoption so that she may have a better future with the parents who can provide her all the necessities of life. 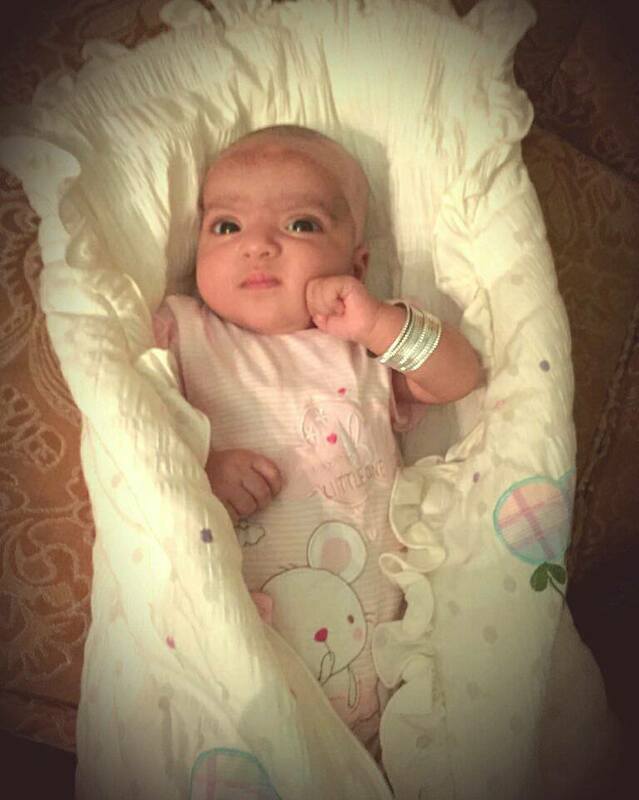 Soon after the baby was abandoned, she was adopted by a kind-hearted family from UAE. 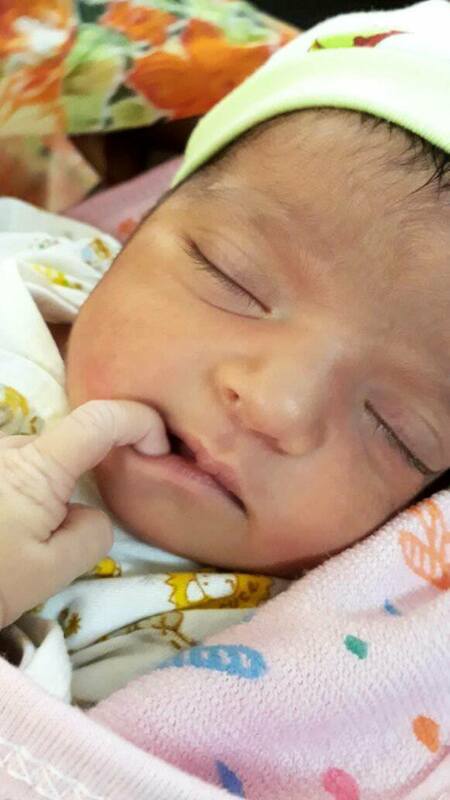 After all the legal procedures of adoption were done, the baby was handed-over to the family. It is extremely gratifying to see that such people still exist in the world who care about those who are abandoned. It is them who make this world a better place and it is their support that HOPE is able to do so much for the people in need. 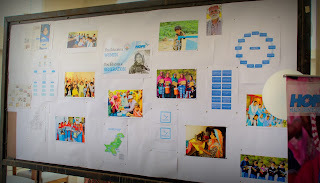 HOPE- a charity in Pakistan, has been active in Pakistan since 1997, working in the health sector of Pakistan. The organization is spearheaded by the dynamic leadership of Dr. Mubina Agboatwalla – a child specialist inKarachi and continuously strives to improve the health and educational disparity of the deprived community in the country. Most parents in rural and slum areas are not able to afford school fee, books and uniform for their children. 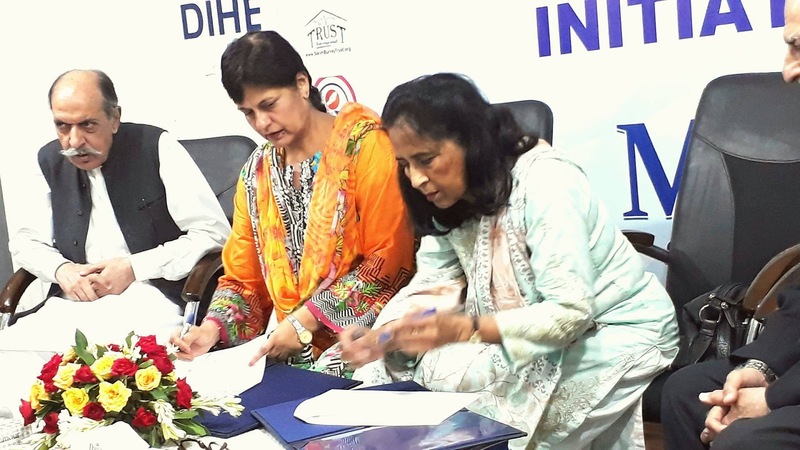 HOPE - an educational NGO in Pakistan has been a precursor in providing free and quality education within its means to eradicate illiteracy in Pakistan, under the leadership of Dr. MubinaAgboatwalla - Child Specialist in Karachi. 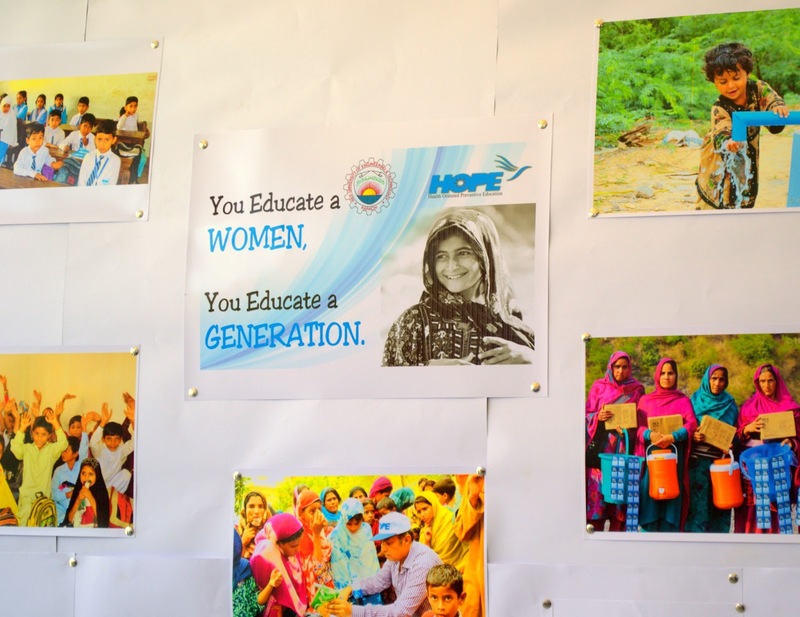 HOPE has 4 formal schools and 200 informal schools in different districts all over Pakistan, serving the underprivileged communities and people of remote areas. The HOPE schools not only provide free education but extra-curricular activities are also carried out in the school. 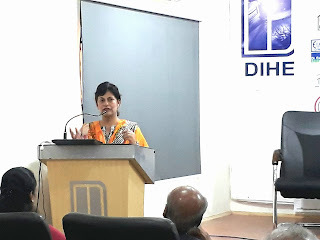 The students are also taken to field trips and exhibition to increase their exposure to the world and build confidence in them to compete with the children studying in expensive private schools. In this regard, Dr Mubina Agboatwalla, chairperson of HOPE, accepted an invitation to a seminar on “Community Services” by “DADABHOY INSTITUTE OF HIGHER EDUCATION”. The seminar was held on World Literacy Day, 8th September, 2017 and an MoU was signed with HOPE. 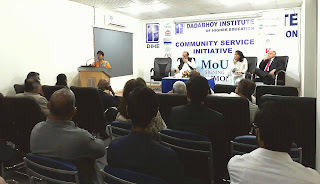 According to the MoU, the students of the institute will interact with the underprivileged children studying at HOPE schools. They will hold different interactive sessions with them. This will help the children to communicate with different people and increase their confidence and knowledge. HOPE always appreciated such initiatives which help the underprivileged children excel in their lives. It is gratifying to know such people still exist in this world who are willing to help the people in need and organizations that are working for the betterment of society. Eid-ul-Adha gives us a massage that nothing should be dearer to us than Allah and this why we choose the best animal for qurbani according to our own capacity to gain Allah’s pleasure. The Prophet Muhammad (PBUH) said: Whoever made a sacrifice with all sincerity, the act of sacrifice will protect him from hell-fire". There is also a recognized right, for the needy and deprived over our wealth and sacrificed meat and remembering the less privileged ones during your happy moments and important occasions is a very kind and beautiful act in front of Allah. Hence, HOPE – an NGO in Pakistan, never forget the poor and needy on any event and occasion; giving meat to the destitute as required while doing Qurbani spreads happiness and love. It enables them to enjoy the important occasion of Eid-ul-Adha as a time of celebration and festivities. HOPE – a Health NGO in Pakistan, distributed qurbani meat in the far flung areas of Karachi; Gadap, Ghaggar, Rairhi Goth, Bhens Colony, Bilal Colony, Mujahid Colony, Sachal Goth and Bhattiyabad as well as in Thatta, Badin, Muzaffargarh and Muzaffarbad (AJK). Total 17 goats and 17 cows were sacrificed in all of the areas that are mentioned; 5 cows and 2 goats in Thatta, 9 cows and 13 goats in Karachi, 2 cows in Badin, 1 cow in Muzaffargarh, 2 goats in Muzaffarabad and the meat was distributed in the poor and deserving residents of these areas by team HOPE. This entire Qurbani activity was carried out under the leadership of Dr. Mubina Agboatwalla – a child specialist in Karachi and with the support of donors who believe in HOPE. Various individual donors contributed for the share in cows and for goats. Human Concern International (HCI) Canada also contributed for 3 whole cows for the Qurbani.